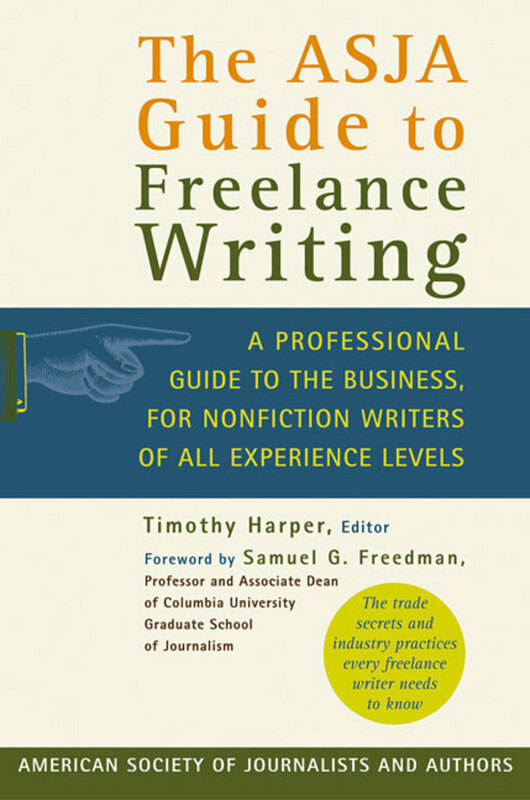 Whether you're just starting out, considering going full-time, or are already a successful freelance writer, you'll find the information and insights needed to take your work to the next level in this smart, thorough guide. Compiled by the prestigious American Society of Journalists and Authors, the book's twenty-six chapters cover the business from every angle, tackling the topics every freelancer needs to master in order to make it today. Chapters cover: planning a writing business * generating fresh ideas * the secrets of a successful magazine query * the latest research tools and techniques * writing for the Web * developing areas of specialization * promoting yourself and your work * op-eds, essays, and other ways to leverage your knowledge * contracts * taxes and deductions * working with editors and agents * going full-time * key lessons you won't have to learn the hard way * and more. Timothy Harper, ASJA member and former Associated Press national writer, has been a full-time freelance writer since 1984. An adjunct faculty member at the Columbia University Graduate School of Journalism and a writing coach and consultant, he has published stories in The Atlantic Monthly, Reader's Digest, Delta Sky, and elsewhere and is the author of eleven books. He lives in Ridgewood, New Jersey.